The other week I had a whole lot of left over roast chicken in the fridge. There’s only so many chicken sambos a gal can eat so there was only one solution: a chicken pie. I put the question out there on social media for the best recipe that you guys had and then from there I made a few tweaks and came up with my own version. And you know what? It was bloody delicious, so best I share it with you. 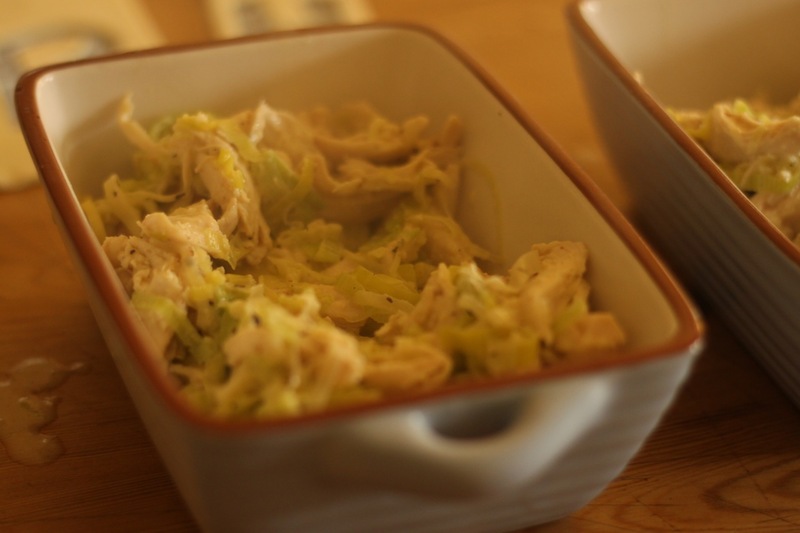 The first time I made this (as I said) I had leftover chicken which I just pulled apart. 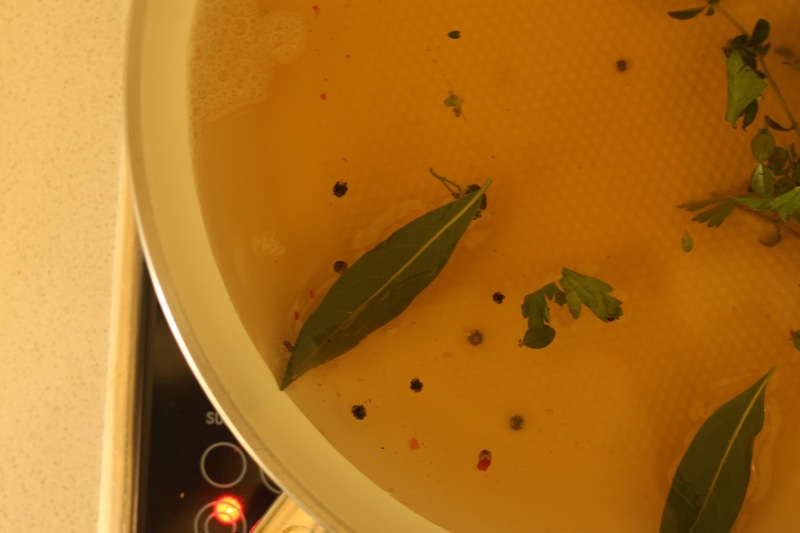 This time I had chicken breasts which I quickly poached in some chicken stock, peppercorns, parsley, thyme & bay leaves. Once it was poached and cooled down I shredded it. 1. 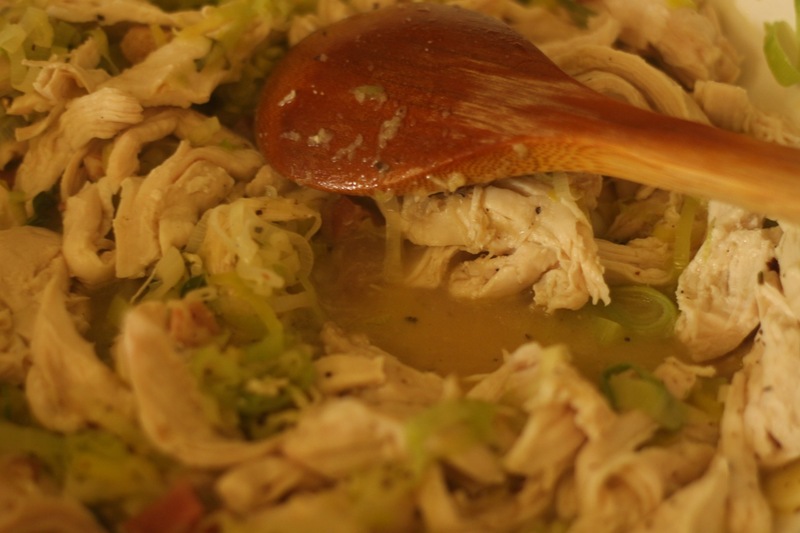 Pull your leftover chicken apart or chop/shred. 2. Crush the garlic and chop the leeks into thin rounds. 3. 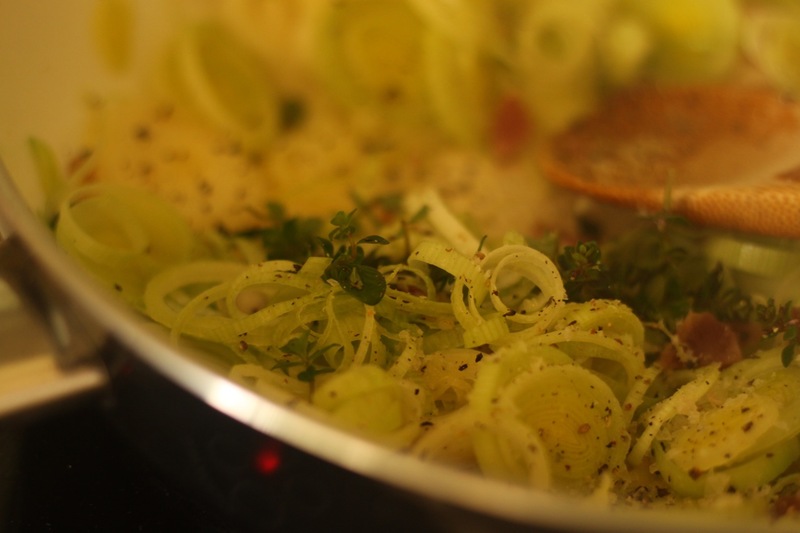 Add a dash of olive oil into a hot saucepan ad throw in the pancetta until it browns then whack in the garlic, leeks, thyme and a good seasoning of salt & pepps until the leeks are softened. 4. Then add in the cooked chicken and give it a stir. 5. Add a good splash of chicken stock to deglaze the pan (using your wooden spoon to lift any dark colour on the bottom of the pan from the cooked pancetta. Then add in a splash of cream as well. 6. Take a sheet of puff pastry (or of you can be arsed take some you prepared earlier!) and cut to the size of your ramekin/pot. How cute are these little Jamie Oliver ones that you can get from Woolies. I also like to cut out everyones initials because my Mum used to (and still does) it for me. 7. Add in a spoonful into each pot/dish then cover with the sheet of puff pastry without worrying too much about the edges. I fold it in, squish it around, it’s never fancy and it NEVER matters! 8. Brush with egg wash and place on a baking tray into a hot 200 degree oven for 20 mins or until golden brown. 9. Serve up on a plate with some simple greens on the side. We usually have a green rocket/baby spinach salad that you can place on top and push into the pie. Enjoy! 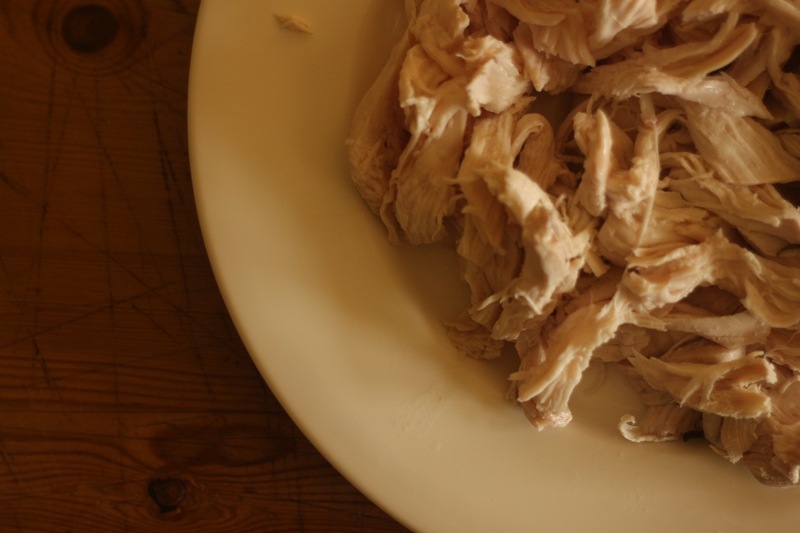 Pull your leftover chicken apart or chop/shred. 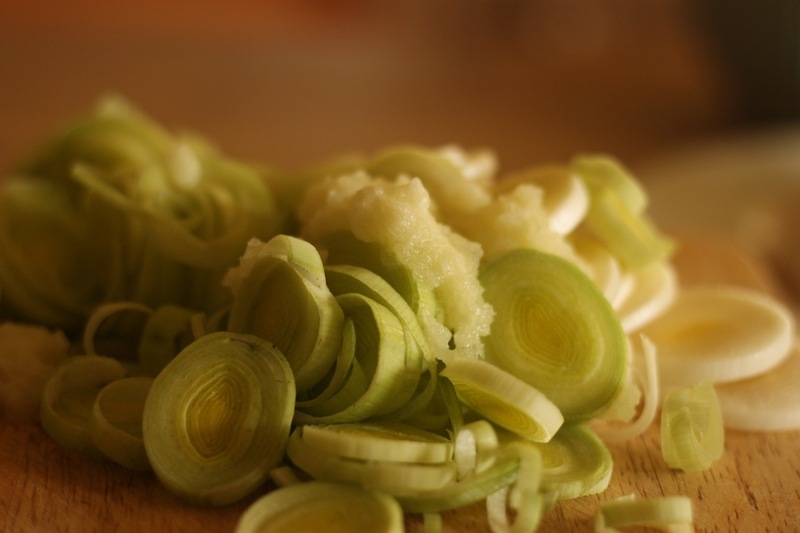 Crush the garlic and chop the leeks into thin rounds. Add a dash of olive oil into a hot saucepan ad throw in the pancetta until it browns then whack in the garlic, leeks, thyme and a good seasoning of salt & pepps until the leeks are softened. Then add in the cooked chicken and give it a stir. Add a good splash of chicken stock to deglaze the pan (using your wooden spoon to lift any dark colour on the bottom of the pan from the cooked pancetta. Then add in a splash of cream as well. 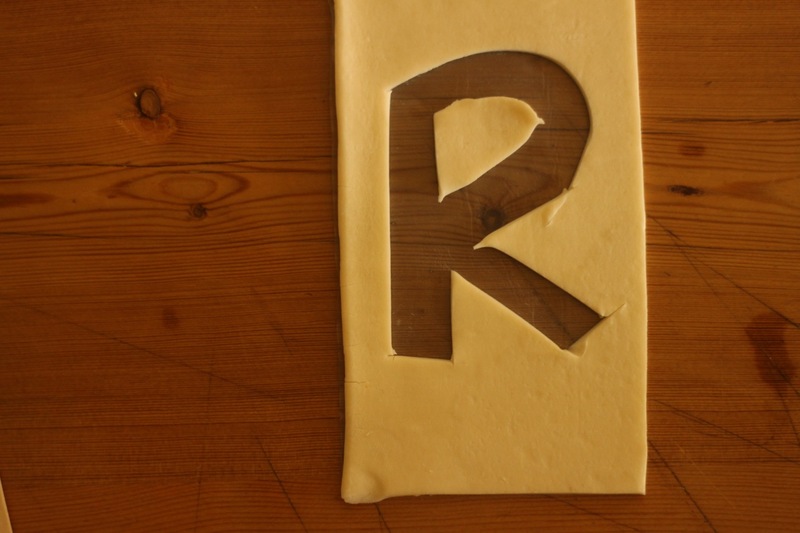 Take a sheet of puff pastry (or of you can be arsed take some you prepared earlier!) and cut to the size of your ramekin/pot. How cute are these little Jamie Oliver ones that you can get from Woolies. I also like to cut out everyones initials because my Mum used to (and still does) it for me. 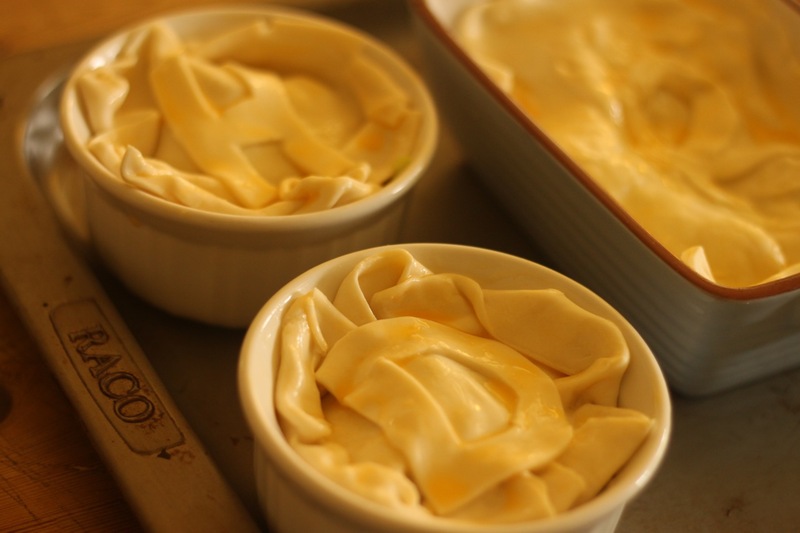 Add in a spoonful into each pot/dish then cover with the sheet of puff pastry without worrying too much about the edges. I fold it in, squish it around, it's never fancy and it NEVER matters! Brush with egg wash and place on a baking tray into a hot 200 degree oven for 20 mins or until golden brown. Serve up on a plate with some simple greens on the side. We usually have a green rocket/baby spinach salad that you can place on top and push into the pie. Enjoy! 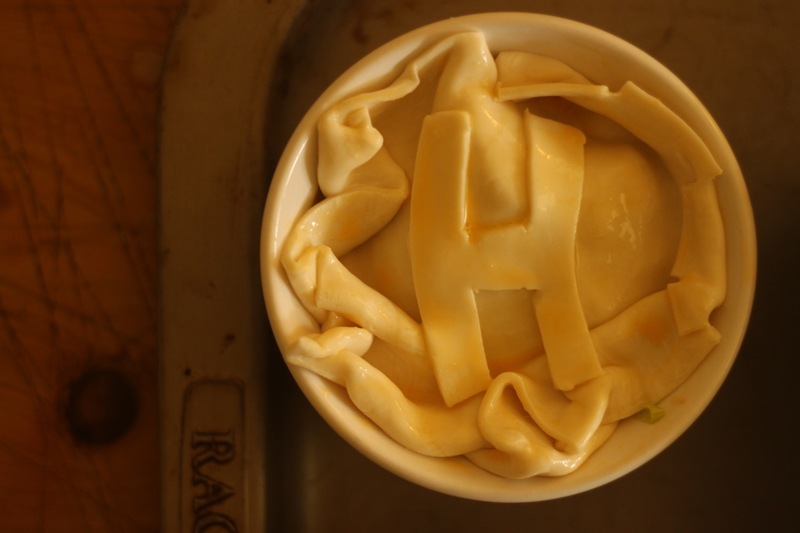 Do you enjoy a home made pie? What’s your favourite filling? 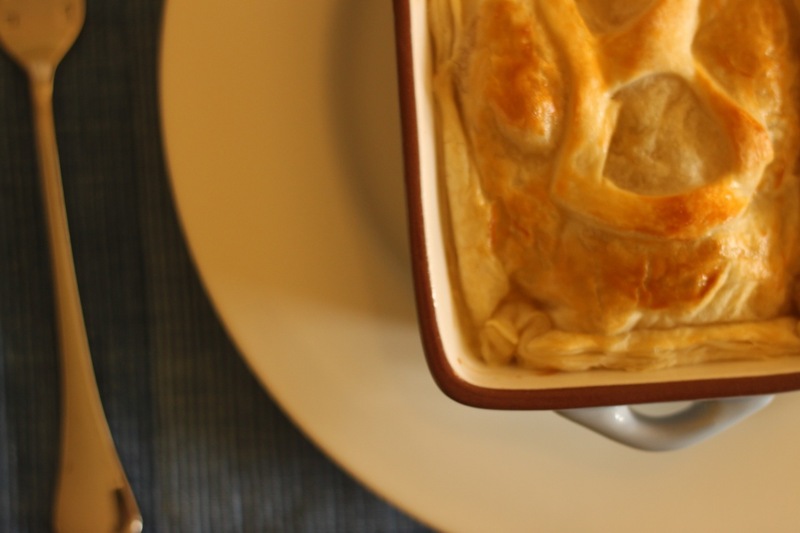 Got a chicken pie recipe you love? YUM! That looks amazing…thanks so much for sharing! You’re most welcome! Where it says tomato sauce I use whizzed canned tomatoes/passata. I make a chicken pie a lot but a big one,a cooked chicken a can of chicken soup ,veggies and salt and pepper some bacon and mix it all around and top with puff pastry ,dinner winner every time and it looks fancy like! You have got to love FANCY LIKE! Yum! I think I might make these for dinner tonight, it’s not been cool enough for comfort food here until now. Can’t beat rainy days and chicken pies. Match made in heaven indeed! yeah, so that sounds amazing! It just so happens I have the leftovers of tonight’s roast chooken in the fridge Beth…was destined for a vege soup but this might have trumped it. Looks so delish. 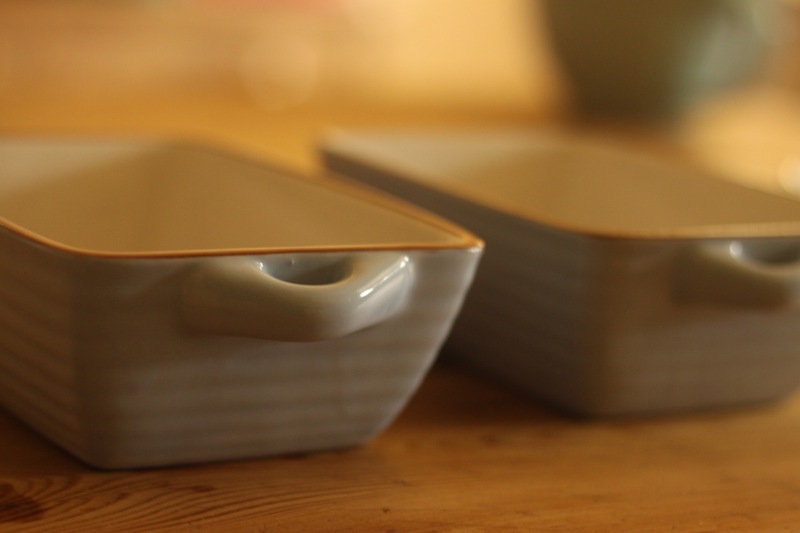 Also am coveting those Jamie ramekins. You can get those ramekins from Woolies! Making these tonight! I’m hoping the letter top will entice the wee fussy girl. Either way I’ll enjoy eating them! It all looks delicious Beth. 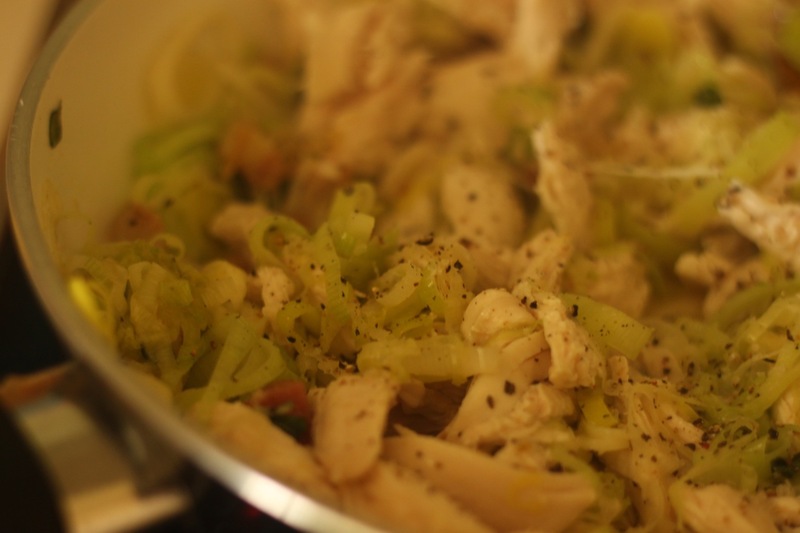 Would you believe I have left over chook roast and a few leeks in the veggie patch…..perfect timing. Made these tonight! Thanks Beth for recipe – were divine! You’re welcome Sarah – a family favourite here! Thanks for your easy to make but tasty, practical meals. With two male adults and a growing teenager I’m now doubling your recipe to keep the food up to them. I also used your Mum’s idea and put a decoration on top. These were an absolute hit in my house. I added some mushrooms too. Will definitely be on regular rotation.